We offer a complete spectrum of landscape services. And in our 20 years of operation we’ve grown to become experts in each single service. We take pride in managing your property. How can we help? Curb appeal matters to your clients and prospective business partners. We enjoy designing, installing, and renovating your landscape so that your property communicates excellence to all who visit. 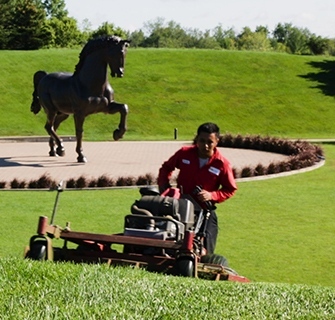 Maintaining your beautiful property can take a lot of your time. We offer a wide range of services to ensure your landscape looks its best while you focus on growing and managing your business. You’ve invested in your plants, now invest in caring for them. Proper pruning, nourishment, and care will make your plants attractive, healthy, and strong. Proper irrigation relies on proper design, smart technology, and detailed planning. In order to make your landscape attractive and healthy, your plants need the right amount of water at the right time. Weather in Michigan is unpredictable. Our team is dedicated to monitoring the weather and ensuring that your sites are clear and safe.